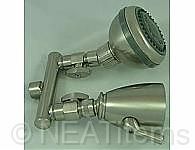 2 great shower heads on the brass dual bar. 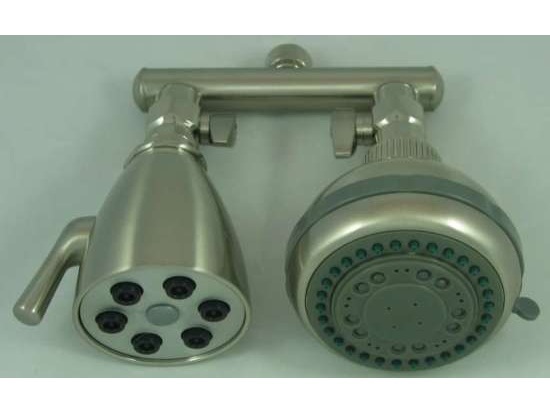 Our powerful Giessdorf 6 Jet Shower Head and our 5 Step Massage Shower Head. 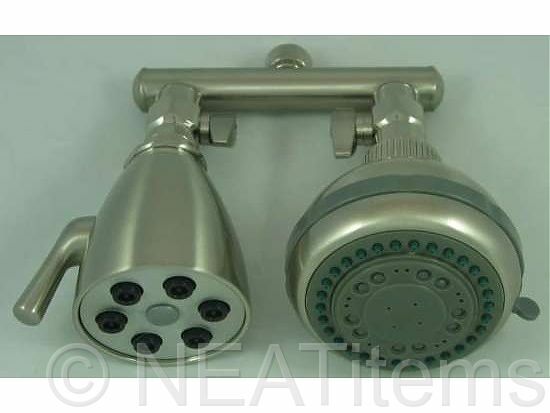 Set comes with brass flow control valves.